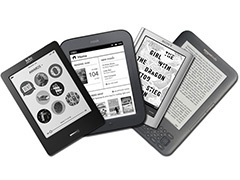 eReaders have emerged as one of the most popular electronic devices of the 21st Century. Conventionally, eReaders are thought of as environmentally friendly because they eliminate the need for paper production. However, the issue of whether eReaders are “greener” than printed books is not so cut and dry. Printed books have been estimated to produce about 1kg CO2e per production of a single book, whereas an eReader’s production generates a carbon footprint approximately 50 times that number. While avid readers might make up for this large number of books by reading 50+ titles on their eReader, reports state that about 20 percent of Kindles received as Christmas presents remain unused for long periods after the holiday, and, more alarmingly, consumers replace their eReaders once every two years on average. Additionally, due to the low cost and convenience of eBooks, the number of eBooks purchased by the average eReader owner is not an accurate representation of the number of books that consumer would have purchased had they not owned an eReader. All of these factors mean that the actual number of printed books offset by the typical eReader owner is often not enough to ecologically warrant the existence of the devices. On top of those factors, the manufacture of eReaders and tablets requires rare metals only found in locales like South America and Africa, and printed books are far easier to recycle. Since the overall number of books sold is increasing annually along with the population, and eBooks are driving those numbers, the notion that eReaders are offsetting the production of large numbers of printed books is a misleading one at best. While eReaders and tablets are convenient and useful tools for book lovers, and perhaps represent the future of text-based media, their effects on the environment have been widely distorted. Ecologically-minded consumers would be wise to investigate the facts before making a purchase. Posted on January 20th under Pollution Reduction.